When you give to our charity, American Kidney Services (AKS), in Atlanta, Georgia, you can feel confident that you’re helping people in need. 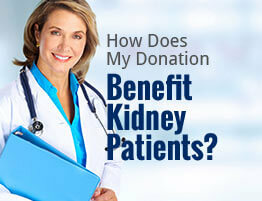 That’s because our mission is to support organizations that fight kidney disease and assist those affected by it. At AKS, we welcome donations of clothing and other household goods to generate proceeds that go toward charity programs like those of American Kidney Fund (AKF). AKF offers financial aid to patients in need as well as community outreach programs for some of the 31 million men, women, and children across the nation with chronic kidney disease. AKS also has hundreds of charity drop boxes all over the local area where you can leave your donations 24 hours a day, seven days a week. For more information on how donating to our charity in Atlanta, GA, can help fight kidney disease, please contact AKS today.